The correspondence in the Trumbo papers chronicles every facet of his life, including his family, finances, writing career, and political beliefs. 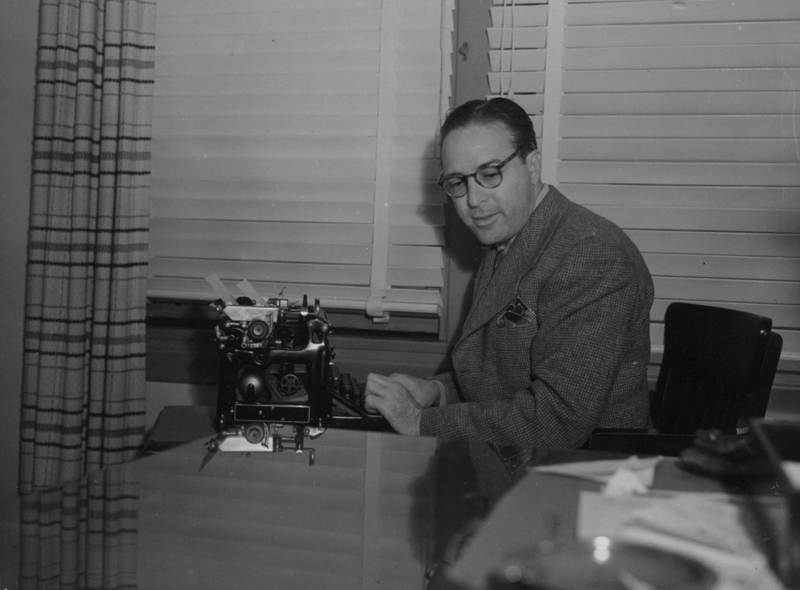 In an age before email, Dalton Trumbo was a prolific letter writer. He probably did not keep all of his correspondence but he did keep much of it—much more than many others would. His letters provide insight into who he was; he could be prickly, demanding, humorous, apologetic, grateful, and loving. The letters made available here document his life on the blacklist. Having lost his ability to work publicly in Hollywood and facing a year in prison, finances were a big concern for Trumbo since he supported not only his wife and three children, but also his mother, sisters and mother-in-law. A number of letters show this financial burden and the things he did to help alleviate it. Trumbo's letters from prison give a glimpse into what his life was like while incarcerated and the ongoing legal efforts on his behalf. Letters dating from after Trumbo's release show how the blacklist continued to affect Trumbo’s family, finances, career, and his efforts to help break the blacklist.